The Beta 53 is a fully adjustable omnidirectional condenser headworn vocal microphone, designed for applications where unconspicuous appearance and incredible sound quality are required. 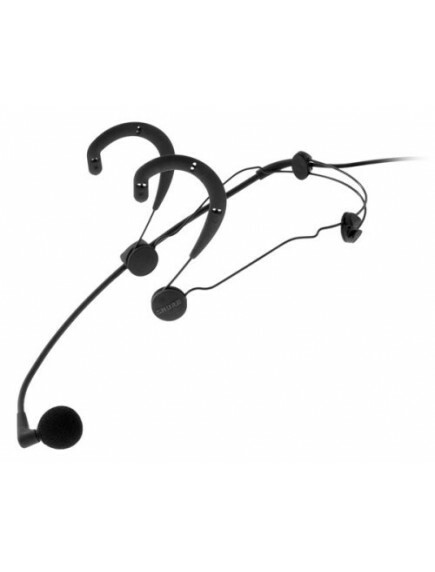 Its lightweight, adjustable, modular headband, flexible wireframe and soft earpieces provide a comfortable fit while still allowing the Beta 53 to be positioned as close to the left or right corner of the mouth as possible, assuring maximum voice pickup. The Beta 53 microphone features an extended frequency response and high SPL handling ability. It is uniquely designed to provide the sound quality and performance consistency required for environments such as professional theater, event production, trade shows and seminars.